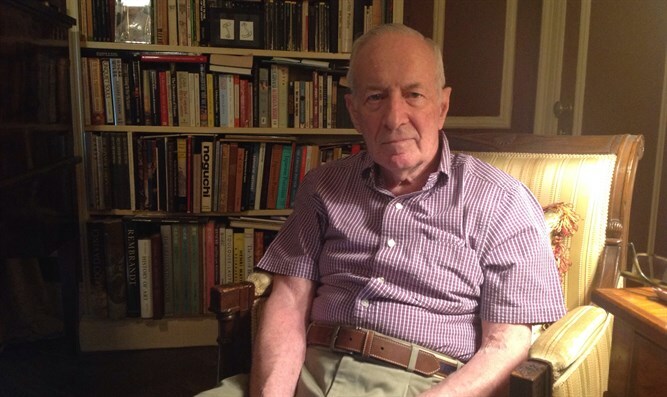 Isaac Shapiro, now 87, lives in New York. Growing up in Imperial Japan during World War II, Isaac Shapiro’s best friend was a member of the Hitler Youth. The friend wore the organization's brown shirt uniform to their international school every day, but not because he wanted to — he was German and Japan was an ally of the Nazi regime, so he was expected to project support for the Fuehrer. Instead of instilling fear into his classmates, however, the uniform had the opposite effect — his non-German peers gently teased him. “We made fun of him -- everybody at school made fun of him,” Shapiro said. “We didn’t support the German Reich. “He was obviously not very enthusiastic about being in the Hitlerjugend,” Shapiro added, using the German word for Hitler Youth. Countless Jews have harrowing stories of growing up under the terror of Nazi rule, but Shapiro has a different tale of growing up under the Axis — he was one of the few Jews living in Japan at the time. He was born in 1931, the year Japan invaded Manchuria, and was living there when the United States dropped the atomic bomb on Hiroshima in 1945. Shapiro, now 87, is the author of “Edokko: Growing Up a Stateless Foreigner in Wartime Japan,” a childhood memoir that first came out in 2010 and was republished late last year. The title is a term that refers to someone born and raised in Tokyo. While Shapiro's story contains elements of World War II-era totalitarianism — the police state, the pervasive propaganda — it is unique because it’s not a tragedy. Shapiro wanted the US to win. He survived American bombings in Japan. He had some idea of what was happening to Europe’s Jews. But he also has fond recollections of his Japanese neighbors and his wartime childhood friends. Shapiro’s family came to Japan after a whirlwind of international travel. His parents, both Russian Jewish musicians, met and married in Berlin. They sensed danger early, immigrating to what was then Palestine via Paris in 1926 to escape the prospect of Nazi rule. When they found life difficult there, they moved to Harbin, a city in northeastern China with a large Russian Jewish immigrant population. In 1931, the year Shapiro was born, his father took a job at a music conservatory in Tokyo. Shapiro was born in Japan but lived back in Japanese-occupied Harbin from 1931 to 1936 because his parents had separated. While there, his family got a traumatic taste of the Japanese police state. One day in 1933, while he was at home with his brothers, the Japanese military helped a gang kidnap his mother and a family friend, Simon Kaspe. His mother was released in a matter of hours, but Kaspe was killed. The incident was scary enough to prompt his parents to reunite the family in Japan. 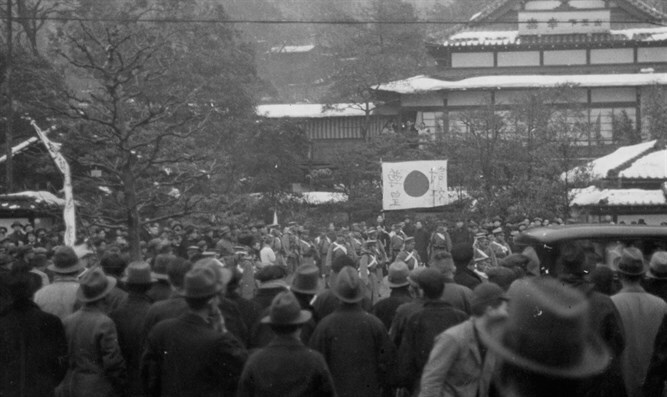 His life was shaken up again by the escalation of World War II and the abolition of any vestiges of democracy in Japan. After the United States and United Kingdom declared war on Japan following the Pearl Harbor attack in 1941, Shapiro’s British school was closed. His family needed to obtain permission whenever they wanted to leave Yokohama, the coastal city where they lived and received all their news from a heavily censored English newspaper. Despite the tight government control, Shapiro spent the early years of the war in the bubble of an international school. At home, he and his family would talk about their hopes for an American victory and a defeat of Germany, which Shapiro wrote about privately in his diary. His father played a role in helping Chiune Sugihara, the Japanese diplomat who saved thousands of Lithuanian Jews. When some of those Jews reached Japan in 1941, before Japan and the US were at war, Shapiro’s father would translate for them at the American consulate in Yokohama. Those survivors relayed news of the Holocaust to Shapiro’s family. The family also managed to maintain some private Jewish practices while living within a Nazi ally. They would eat Shabbat dinners at home on Friday night, and his father wore a kippah at those meals. They avoided pork, and on Passover they imported matzah from Harbin. The war came home in 1944, when the Japanese military evacuated the coastline and sent his family to live in Tokyo, where they endured heavy American bombing. Shapiro’s family had to run frequently to air raid shelters and pump water by themselves to put out fires. A Russian immigrant friend of his was killed in a bombing. By 1945, it was clear that Japan was losing the war, even though the nation's censored newspaper downplayed the military defeats as temporary setbacks. When the atomic bomb hit Hiroshima, Shapiro recalls it being covered as a small item in the paper so as not to scare readers. When the war ended, Shapiro met an American Army officer who was seeking English speakers. He signed on with the Army, at age 14, to be a translator -- but ended up translating for the US Navy in Japan after the war. “I have to go home and get some clothes and tell my parents,” Shapiro recalled telling the Army officer at the time. But his parents didn’t mind. A Marine officer and his wife took in Shapiro and, in 1946, with the encouragement of his parents, moved with him to Hawaii and acted as his guardians. Shapiro attended high school there, then went on to college and law school at Columbia University, and a long career at the law firms of Milbank Tweed and Skadden Arps. 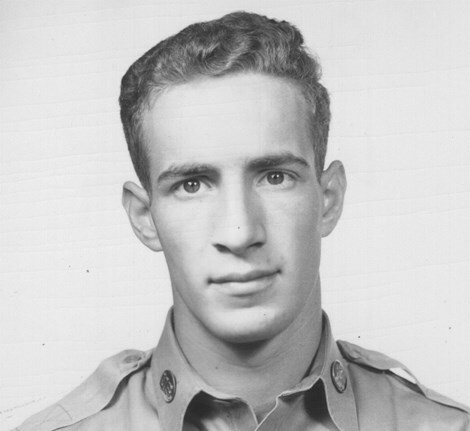 In 1952, he served in the Korean War, sweeping for mines and interrogating Koreans in Japanese. In the late 1970s, he and his wife got to live in Japan during peacetime, helping establish Milbank Tweed's Tokyo office. 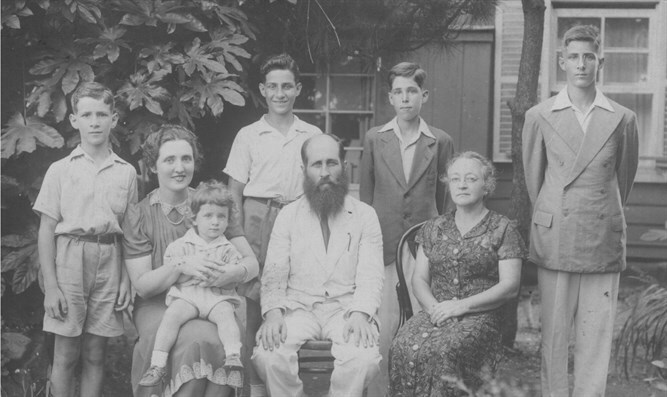 The Shapiro family in Yokohama, 1941.